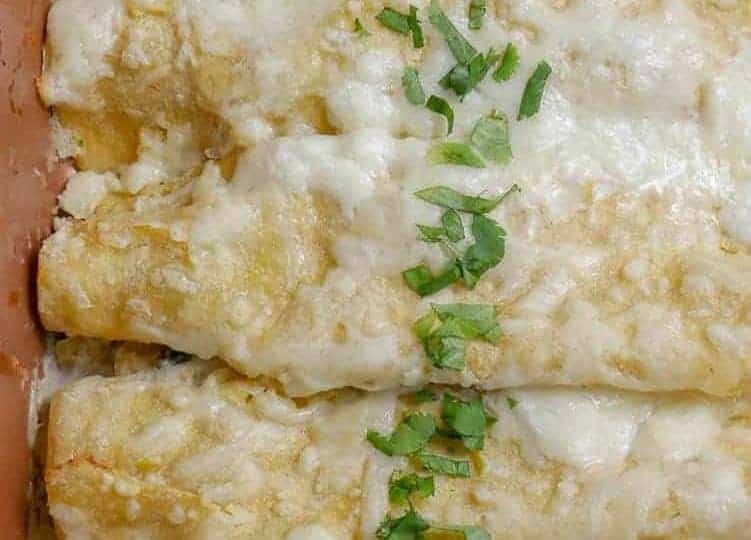 You’ll be a VIP if you bring these two pans of creamy, cheesy enchiladas to your next potluck or party! Options for all vegetarian or including chicken for mixed-diet families/gatherings. We invited a group of friends up the mountain for a potluck recently. Up here amidst the pine trees, folks don’t really do formal, sit-down dinner parties. Casual potluck hang-outs with a pile of snow coats and kids running around are our norm. I figured that if our friends are making the haul up the mountain to us (on a bitterly cold, snowy night with icy roads), I’m certainly going to put something warm, gooey and filling on the table! Being a vegetarian, I enjoying being the “bringer of a tasty veggie dish” to potlucks and parties. Since we were hosting for a mixed-diet crowd (including my omnivore hubby), I made one pan vegetarian and one pan with chicken. If you’re heading somewhere fun, or just want to invite some folks over for enchiladas and board games, this is a winning combo. Obviously if everyone is vegetarian (or you are ethically not comfortable handling meat), then 2 pans of vegetarian enchiladas will be devoured! But I’m betting there are some “mixed-diet families” who are always trying fiddle with a meal to satisfy different eaters. I’ve been researching enchiladas verdes vegetarianas for weeks now. I am passable at reading Spanish, but have spent many hours after my daughter is asleep, in the dark with google translate cranking on my laptop. I’ve learned some fabulous tips along the way, like: dipping the warmed tortillas in the sauce before filling them, and that the sauce is salsa verde (green salsa made with roasted tomatillos) blended with crema (sour cream with lime juice). WHAT. I am here for this! I am not Latina and do not claim that these are “authentic”… also, that is such a loaded word, am I right? Below I’ve linked to several of the sources I drew inspiration from if you’d like to drool more. 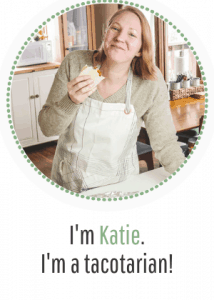 If you’d like to make the tomatillo salsa from scratch, definitely check out these resources! A meal that takes over an hour, start to finish, had better be worth the time. So I have finessed this recipe to include a few time-saving shortcuts. For example, I use store-bought green chile salsa instead of roasting tomatillos and making my own salsa. Heat a pan over medium-high heat. In a little olive oil, saute the garlic, onion and mushrooms for about 5 minutes. Cook zucchini and poblanos. After the mushrooms are done, use the same pan to saute the zucchini and poblanos for 10 minutes. 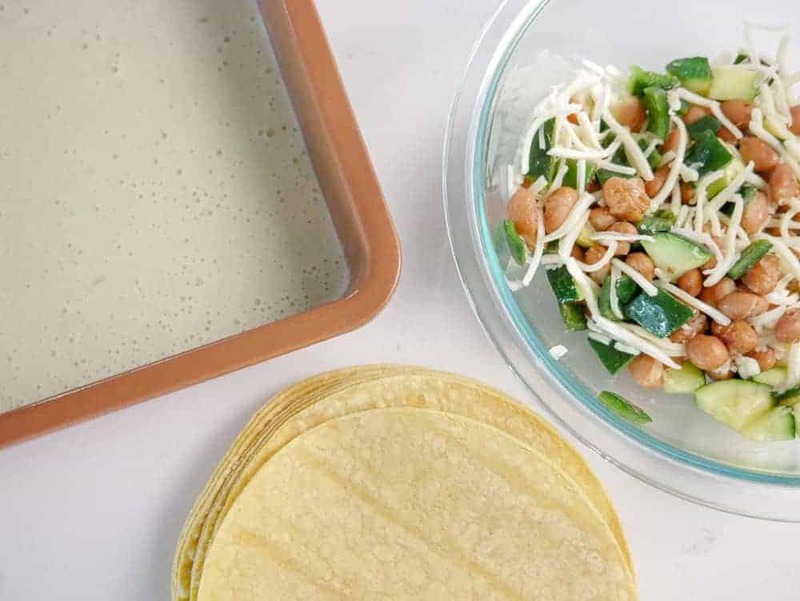 All Vegetarian: In a very large bowl, gently combine the mushrooms, zucchini, poblanos, pinto beans and shredded quesadilla cheese. 1 Vegetarian / 1 Chicken: Line up 2 bowls. Add mushrooms, zucchini, poblanos and cheese to both bowls. Add pinto beans to the vegetarian filling bowl and shredded chicken to the meat filling bowl. Gently stir each bowl. In a blender, blend salsa verde and sour cream. Spread a thin layer of the verde sauce on the bottom of both pans. Briefly warm the tortillas in the microwave. Dip a tortilla in the green sauce (keeps it soft and reduces cracking). Spoon filling mixture along the center of a tortilla. 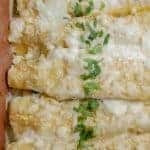 Roll the sides over the filling. Place seam-side down in the pan. Repeat until all tortillas are used. Pour verde sauce over both pans. Sprinkle with shredded and crumbled cheeses. Garnish with cilantro, if desired. 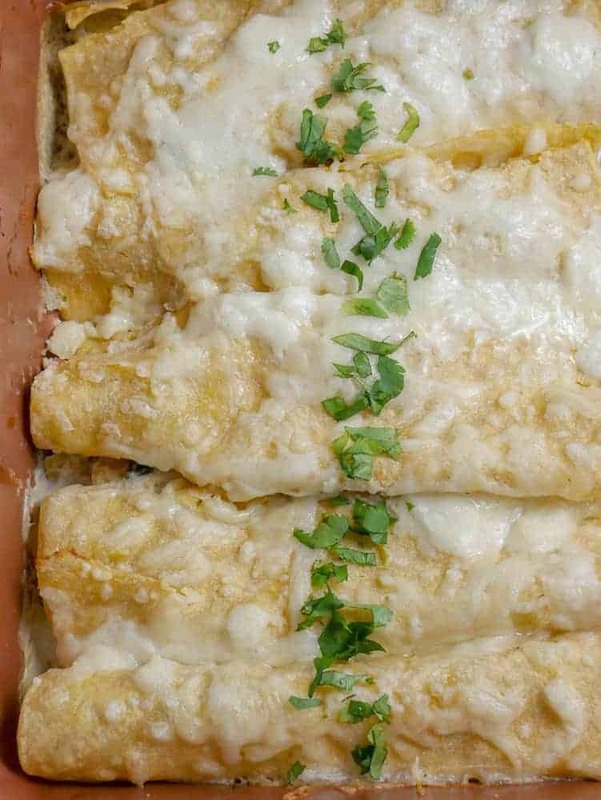 Vegetarian: For all vegetarian enchiladas, follow recipe instructions for “All Vegetarian” where indicated. Vegan: Follow “All Vegetarian” recipe instructions. 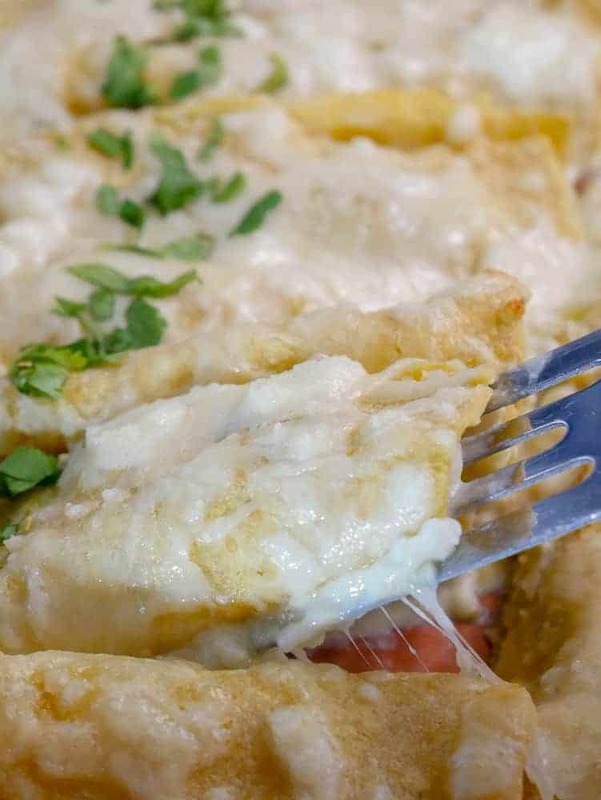 Substitute dairy-free sour cream and cheeses. Next Post Next post: Vegan Burrito Bowl: Extra Guac, Please!